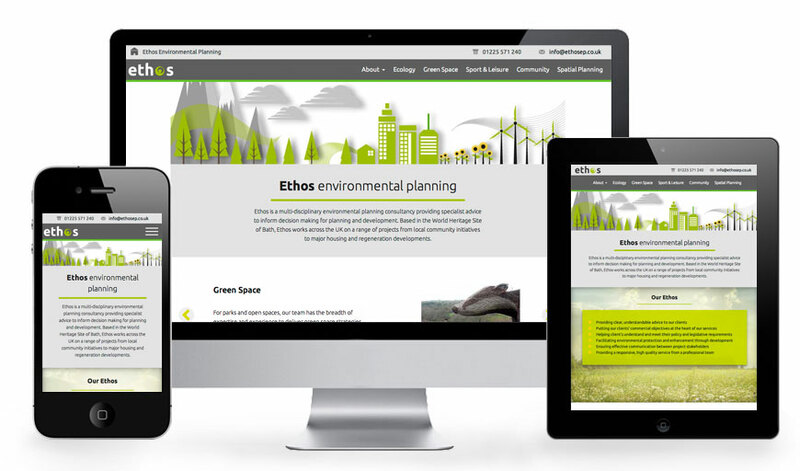 Ethos is an environmental planning consultancy based in Bath. We were asked to produce a website that conveyed professionalism whilst also conveying the company’s empathy with their area of expertise. 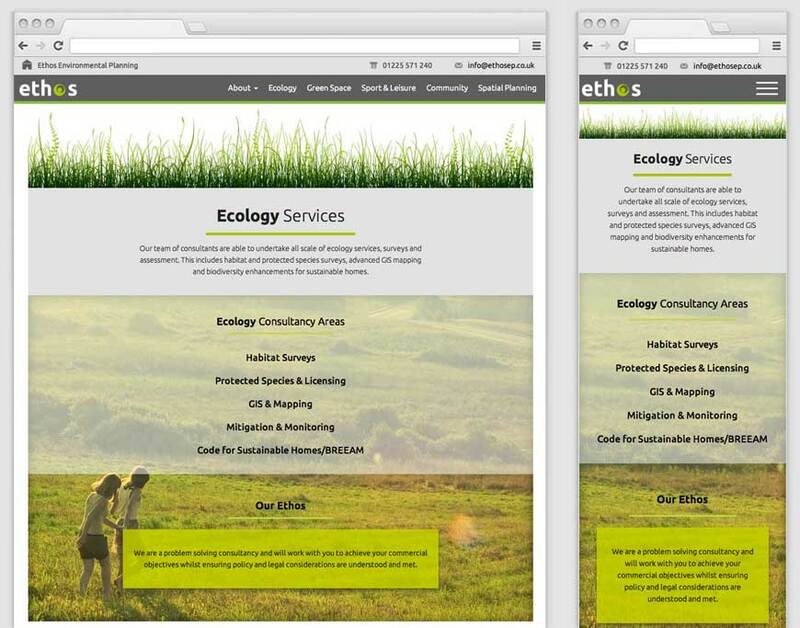 It was necessary for the site to work on all devices and be an energetic and fresh design to promote a positive and modern concept of ‘the environment’ and help them stand out from their competitors. A design was created that featured a contemporary set of illustrations for headers, backgrounds and footer areas that complemented the images within the text. These helped brighten the site and break up the text into more easily viewed portions. The design of the site also incorporates parallax coding, which when the site is scrolled on desktop, a window reveals a moving image. Together with the responsive design, this has helped market the client at the forefront of technological developments in their field. For the Ethos home page we used eye catching illustrations and adapted them into Ethos’ key brand colour scheme. A slider highlights the services available and bold background images move in ‘parallax’ as the page is scrolled. 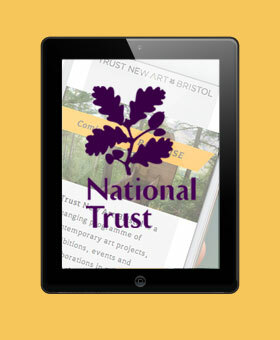 Main menu pages clearly identify the core services with a consistent design to aid communication.